What is the best way to reduce traffic police corruption? The Zambia Police Service in collaboration with the Road Transport and Safety Agency are planning to set up a new system for payment of fines for traffic offences in effort to curb corruption. According to Inspector-General of Police Martin Malama the aim is to “discourage the practice of paying money to police officers when a traffic offence has been committed”. How this will work in practice is not clear, but one idea he is considering is for erring motorists to be issued with tickets that can be paid at a bank. Traffic police are widely regarded as the most corrupt element in the police force and tackling the scourge there would send a strong message that the police is being reformed. Do you think this idea by Inspector General Malama will help curb the scourge? If, what approaches do you think Government should consider in reducing traffic police related corruption? A sample of responses from "properly identified persons" will be published under the Readers Weekly column. Those on Facebook can leave their comments here. Over the years, the people’s call for a Republican Constitution that is expected to stand the test of time has been loud and clear. Unfortunately, we have wasted a good portion of our country’s meager resources on financing the Chona Constitution Commission, the Mvunga Constitution Review Commission, the Mwanakatwe Constitution Review Commission, the Mung’omba Constitutional Review Commission, and the National Constitutional Conference without coming up with such a Constitution. In the previous article Regime Change: The Fires of the Maghreb I briefly discussed the objectives of the NATO led mission in Libya and the expectations of the Libyan people and the region. The events in Libya have since moved at a faster rate than anticipated and have culminated in the death of Gaddafi in circumstances being alleged by the International Criminal Court (ICC) as a summary execution after being caught alive by the National Transition Council (NTC) forces. From the a neutral point of view one can only speculate how Gaddafi would have dealt with his enemies if the roles were reversed given the fact that the Colonel was well known for absolute brutality against opponents. If it turns out that NATO war planes deliberately bombed the convoy that allowed the Libyan NTC troops to capture Gaddafi then NATO went beyond the resolution 1973. The UN resolution 1973 is a mandate that in principle allowed NATO to enforce a NO flying zone to stop the escalation of the conflict to separate the two sides and secure humanitarian protection. However, Russia, China, the African Union (AU) and many other countries have since argued that what essentially happened in Libya was a military operation by NATO aimed squarely at supporting the NTC forces while limiting the capability of Gaddafi royalists. In other words, NATO overstepped their boundaries defined by the Security Council framework which was strictly civilian protection and created deliberate pre-conditions for regime change. I am sure the interpretation of the UN resolution 1973 and the actions of NATO will be subject to a fierce debate over the coming months and years. The removal of Gaddafi also raises the issue of the validity of continued NATO operations in Libya under the current mandate 1973. However, if post-Gaddafi instability materialises that would mean that it would be necessary and imperative for NATO to return to the UN for a new mandate. We have previously touched on the timber exploitation in the country following an excellent article by Doreen Nawa. The Timber Producers Association of Zambia (TPAZ) is now calling for Government to revoke all timber licences because most investors are plundering the country. In the words of TPAZ's Charles Masange, “the timber industry has been performing very badly because it is overcrowded by foreigners...I call them (foreign investors) harvesters instead of investors because they are abusing our timber which is natural resources from which we are suppose to benefit locally”. Apparently, the "harvesters" are buying timber from local producers for $200 and reselling it $12,000 per tonne. Winter is beginning in North America, and the real test of the Occupy Wall Street (OWS) protests and sympathetic demonstrations is about to begin. Thus far all of the major mistakes have been made by opponents of the protests (e.g. : certain police, media, and politicians), and the movement has gained attention each time. For once the American Left has seized on some actually effective marketing and sloganeering, and even more remarkably have not so far followed their usual pattern of transforming victory into defeat by any means necessary. The problem for the protesters themselves is that they have to now do what they have said they will do if things don't change, they must occupy and be seen to occupy, as continuously as possible for the next full year. That is because unless the protests can continue to move the poll numbers in the electorate and generate a political movement of the terms of debate over the next election cycle culminating in November of 2012, both Republicans and Democrats will continue to provide the economic elite with the privilege of impunity from the consequences of their self-enrichment. The Jubilee Centre in Ndola puts out very interesting perspectives on social justice, politics, economics and religion. We will be sharing some of their thoughts going forward. In the latest piece Lawrence Temfwe questions whether the latest presidential pronouncement will reinforce "civil religion" at the expense of true spirituality. Did evangelical Christians, many of whom were afraid he would nullify the Christian Nation clause, breathe a sigh of relief when President Michael Sata stated he will rule the country by biblical principles? Or did they ask what did he meant? After all, the political power of using religious language like “praying for the peace of the nation” is frequently employed to draw people together for a common cause. But Christianity can also be a powerful force to drive people apart. One only needs to look at South Africa during apartheid to see how evangelical Christians were in a crisis of faith as one section was being oppressed and exploited by another section of the same faith. President Michael Sata can be compared to former Brazilian President Luiz Inacio Lula da Silva. They both must think they are the unluckiest politicians ever. Lula lost presidential elections in 1994 and 1998, against a far more established opponent in Fernando Henrique Cardoso. Likewise in 2008 Sata lost elections against a well established MMD the late Mwanawasa. In 2002 Lula finally secured his goal of winning the presidency and there were rumblings, especially from the markets, that he would steer Brazil onto an economic path to destruction. This year 2011, Sata has secured the presidency against Amalgamated Bank of South Africa (ABSA) Capital, Africa strategist Ridfle Markus who predicted that Zambia will lose investment if Patriotic Front (PF) wins the elections. How do we promote inclusive growth? One of the things is to make sure you have an inclusive financial system—a financial system that not only links to big businesses, but also to small and medium-sized enterprises; a microcredit system; and an inclusive financial system. If you are going to have growth that is widely shared, you also have to have an educational system that is inclusive, which means reaches both girls and boys; making sure that all the citizens, no matter what the income of the parents, are able to live up to their potential. Joseph Stiglitz in an interview with IMF Survey Online. We should be proud that at 47 years of age, our beloved country has continued to be a land of lasting peace and stability. We should, therefore, make an earnest effort to build on Dr. Kenneth D. Kaunda’s concept of “One Zambia, One Nation” in order to create a society in which political, ethnic, cultural, racial, and religious diversity is genuinely appreciated, tolerated and celebrated. In this Press Release, I wish to share my views concerning the role of government in independent Zambia. In this endeavor, let us first briefly examine a point of view advocated by the founders of the free enter­prise ideology, that a government should have very limited functions. Should the brain drain be encouraged? Yes, according to Charles Kenny. Letting medical professionals and other skilled workers from the developing world emigrate is a good deal for everyone. I would agree with his assessment. The key here it seems is the "counter-factual". Without the brain drain we would still see high unemployment and inefficient job matches. The brain drain in many ways represents more efficient matching of workers abroad who sometimes earn twice as much as they earn in their countries. Provided remittances and investment are encouraged, and that is critical, it represents a superior outcome to the status quo. The key therefore is on how governments in the developing world tap into the brain drain benefits - it should be seen as a positive opportunity rather than a negative constraint! Kenny helpfully pulls some studies that highlight these benefits. We have previously discussed this here, here and here. The question of the diaspora is not currently on the radar of the new government, but it should be. We shall write an policy essay on this in due course. Immigration may be deeply unpopular with electorates throughout the developed world, but that hasn't deterred immigrants themselves: The foreign-born share of the population of high-income countries doubled between 1985 and 2005, to nearly 9 percent. And the percentage who were college graduates increased fourfold between 1975 and 2000. That's great news for the rich countries that benefit from their skills, of course. But as it turns out, it is also great news for the poor countries the migrants leave behind. Readers Weekly: Fiscal Decentralisation - Friend or Foe? The President recently announced a radical proposal for greater fiscal decentralisation, in form of automatic allocation of national revenues. This is something that is already tried in other African "our Government will also devise an appropriate formula for sharing national taxes collected at the centre within the jurisdiction of every local authority in order to strengthen the revenue base”. To me it sounds like decentralisation. May be a good direction if there are passionate people at the local level. Ova the past years, the central government has had challenges that have seen them unable to deliver. Local jurisdiction as powerful as it was in the late 80s will have well managed and efficient local governments. Remember, there was a time in history of our country when the council had better working conditions and well managed towns in terms of sanitation. On the other hand corruption in the councils is at alarming levels! Yes - more money for councils may solve problems of our communities but what is need from workers in the local government is accountability, which can only happen through intensive monitoring & evaluation. This can be done by govt. in conjunction with community members, hence, the need for encouraging social capital and cohesion within communities. Looking back a bit, i have been tracking the President's statements. At one point he mentioned change of the governance system. From the current centralised sytem to a federal government system. This means that provinces will become semi autonomous states where they will run a budget and make investments based on local decisions. Obviously we have to be vigilant against corrupt practices. The current cleansing approach should be affected so as to give an example to those with corrupt minds. We need to clean up. Strengthening local governments is the way to go. Accountability is key. I support PF mainly for their commitment to devolution of power because it is more difficult to steal public resources from people you know and whose respect, trust and cooperation you rely on. Zambia needs a big dose of patriotism if the free- fall plunder of common natural capital is to be stopped. Corruption has spread due to the unequal application of justice by the state with individuals so often getting away with plunder and worse. .... Underlying all this, the fundamental question therefore is whether Zambia can afford to continue following "capitalism's" culture of rewarding unbridled individual wealth acquisition with status and power above age-old universal values that put community interests first. Hehe! I must sound like a communist to some of you but I'm convinced the same question is at the core of the global financial crisis! It come down to good stewardship of the planet. This is a step in the right direction. Decentralization and empowerment of the local councils does not just deal with jurisdiction matters only but also financial independence of the local government. Revenue sources of the most councils were over taken by party politics. The separation of councils from political cadres. Now with this pronouncements and using local revenue to develop and provide local government services. Increased funding, from central government, each council would be required to submit a budget for the major projects and their deficit. This is how most local agencies can be sustained. Accountability and strict audit would ensure that revenue are applied to pertinent projects and curb corruption. The PF want to go ahead and implement even minor local administration at the village and ward level. This is a welcome move. Zambia needs a good decentralisation framework. We actually already have a very good one, it has just never been implemented since it was put together in 2006/7. So, what has been proposed is not anything new. What the President mentioned in his speech sounds similar to the intergovernmental fiscal relations policy that pertains in South Africa. This is a great system of non-partisan and non-tribal equitable distribution of resources based on poverty levels and population. The way i see it is that we are heading for participatory democracy, great for the future of Zambia, the community forums or governing bodies will need some funds, but mostly capacity building is required, communication capability being the first and foremost, a serious assessment of communication should be done for this including the educational system. “Business has not been favourable, because of the stiff competition from the phones being dumped on the market from China which are heavily subsided. This has resulted in us failing to fully penetrate the local market"
Mobile phone assembling plant M-Tech chairperson Mohamed Seedat says the increasing number of imported mobile phones on the market has impacted negatively on the firm’s growth. M-Tech mobile handsets are in the range K140,000 - K150,000 but the market is flooded with cheaper handsets with some costing as less as K50,000. Little surprise therefore that Mr Seedata is calling on Government to come up with "policies that will protect the local industries". A particular problem he has flagged up is the tendency for "handsets allegedly being imported duty-free". I understand his argument but this would be the wrong industry to impose restrictions on. Low costs of communication regardless of how such costs are driven down is good for country because they drive down transaction costs and improve market discovery especially in rural areas. We need more cheap mobiles. There's really no point having local industries which are not built on lasting or unique advantages. Superintendent Mwale also complained that it was taking too long for the courts to dispose off some of the cases of the detainees which he said had also greatly the contributed overcrowding in prisons centres across the province. "A number of suspects have had their cases dragging in court for a long time, some have not been appearing for trial since 2009 in order to the court to determine their cases," he said. We have previously touched on this issue here and here. The obvious answer is more prison capacity, but also we need much broader reforms to ensure that only those who need to be in prison should go to prison. Nearly 1 in 3 people in prison are there on remand . Is more money to councils the answer to local problems? "OUR GOVERNMENT WILL ALSO DEVISE AN APPROPRIATE FORMULA FOR SHARING NATIONAL TAXES COLLECTED AT THE CENTRE WITHIN THE JURISDICTION OF EVERY LOCAL AUTHORITY IN ORDER TO STRENGTHEN THEIR REVENUE BASE". This could be quite revolutionary, depending on the formula devised. But it also raises big questions in relation to the effectiveness of the local councils to handle greater revenue. There are issues around local politics and the scourge of corruption. What is your view on this proposal? How should national revenues be divided? What dangers need to avoided, and how? A sample of responses from "properly identified persons" will be published under our Readers Weekly column..
Every year more and more boreholes are being dug around the country to extend groundwater access to areas previously reliant on seasonal or distant surface water sources. This is a very good thing, but it is important to remember that groundwater is only a reflection of surface absorption further uphill. Every drop that comes up out of a well first fell as rain and was absorbed into the soil before descending to a layer of clay or rock that carries it laterally across the landscape or enables it to pool underground into aquifers. When the borehole creates an empty space in the saturated layer of earth, then the water naturally flows in to fill the available space up to the level of the rest of the underground water. The only way to keep all of these new boreholes viable is to recharge the groundwater each year at the highest elevations possible within each watershed, and not to take out more than gets filtered in at the top . Zambia's coastal neighbors may be able to believe in water that comes from rivers or springs from the ground, but that luxury is not available at the top of the watershed, and we know that much of the water in their rivers and springs is really Zambian rain. Readers Weekly : A Mandatory National Youth Service? The Government recently suggested that it was considering making national service training for youths mandatory. According to Defence Minister GBM, “National service can also be used as skills centres and hopefully this will turn round the situation of high levels of unemployment among the youth in the country". The President in his speech to Parliament also hinted that this may the solution to tackling youth employment. Stopping short of endorsing a mandatory scheme, he announced that "the PF government will among other things enhance the capacity of the Zambian national service by transforming it into the Zambia Youth Training Service, so that the various camps throughout the country are turned into non-military skills training centres". Some have called it “a well thought proposal” which would address the youths “who are languishing on the streets”. Brilliant idea! An educated guess! It sure beats the idea of having school leavers wait for at least a year before they can get into versity of college. Not quite sure if things have changed, but i graduated in December 2001 and had to wait until 2003 to get into university. I was fortunate enough to get a job six months after finishing, but the majority of my peers succumbed to alcohol, marijuana and other elicit activities in the process. I should mention here that a number of them died as a result. I know of A-level programmes that were introduced many years ago, but i doubt they have yielded any tangible benefits. Loads of countries have mandatory military training, but I don't think its practical. It would in no way solve the issue of unemployment. National service is a short term solution. Sure kids would have a couple months of military training and learn new skills, but then after they would simply face unemployment yet again. So yes its a good distraction from delinquency- but not a solution to unemployment. So should it be optional? I don't see any reason why not. Should it be mandatory? No. The unemployment problem can only be solved by encouraging entrepreneurship. What Zambia needs is more enterprising people starting quality businesses. And some of Zambia's already existing large businesses need to be more aggressive than they currently are. Fix Zambia's enterprise problems and you'll fix the unemployment problem. National Service will not in any way solve the Youth Employment problem. On its own, it's a cost without any guarantee of any returns on the money to be invested. The government should instead make that money available for entrepreneurship. As it is, we have youths running very profitable ventures but they unfortunately cannot access funds to increase their capital. If these businesses minded youths are allowed to grow they will become employers. We shouldn't go back to those dark years of National Service. Much as we love the PF, we cannot just blindly agree on anything they propose. This is a great idea. Projects and businesses are not about how much you have as capital, it’s about having ideas on how to grow the little money you have. Most people have pointed out the advantages: discipline, skills being developed etc. This will combat the high levels of unemployment because those skills can be used for starting a self-business, that’s employment. Talking of costs, while the skills taught vary [to include] farming, tailoring, sports, carpentry and plumbing, end-products should be sold to the markets at large. I bet that will give the national service an income to survive on. The service can be self-financed. All they have to do is look for people with the right skills to tutor and section the youths into departments of their interest. It’s a very possible and good project for the youth and nation at large in that the youth gain their skills at a nil cost and the nation won't have to depend on imports. National service is a good idea. Mandatory for a period. Those days it was 18 months. The people I know who went to national service in the seventies are very switched on individuals…It promotes self-discipline and focus, and though someone may say it does not solve the problem of unemployment, I'd say not completely, but it fills our streets with more disciplined and more skilful youth who though un-employed can do something private and beneficial (for themselves and society) with their skills, like fix a car or make and mend furniture, as opposed to having absolutely no skill at all, which leaves only the option of illegal and often destructive activity. In these centres there can be industry and agricultural production as well, which could create revenue to make these institutions either self-sustaining or profitable to the sponsor (government). Just as it is true that opportunities are scarce, it is also true that there are many who are lazy and complacent and have become used to getting away with it, just waiting for someone else to do it so that they can beg, crying about how hard it is. The benefits of having national service (done properly) beat by far the current condition, and would go a long way also in correcting the mentality towards contributing towards the collective. This is what I think. My proposal to this effect will be to establish a Department for Business, Innovation and Skills (BIS) particularly to sit either under Ministry of Commerce or more importantly under Education. Zambia has not fully tapped into this and there could be a lot of talented young boys and girls out there who have great talent but not been recognised. JETS at one point had a sense of direction but because of no political will to fund R&D, it seems to have died a natural death. Once this is established, a well thought through plan can be ascertained and every element to do with youth development will be properly streamlined as opposed to mumble jumbled up type of approach. We have already existing rewarding models like Don Bosco project, so this is something that can easily be amplified at National level, especially that Decentralisation will be implemented soon at sub district levels. Decentralisation will help provide alot of answers to some of these long pending problems. National Service is a good move and should for citizens who have the fitness, health, and also willing to do so. The High school recruitment [is a] good target because many young people are seeking a direction and vision for their lives. Basic military training would be useful but engage also in emergency, disaster and business skill. The skill learned in ZNS was what many people in my father's generation ended up using such skills for career advancement and development Increase open recruitment and offer more incentives such as tuition assistance, skills training, especially in vocational related field. Engage the youths in national development, community projects and infrastructure. Do I support increased ZNC? Yes…but may be optional but not mandatory. Ages 18-30 may be a good age to promote and encourage youths in within this category but offer the cons and pros to the candidates before they sign on. What did President Sata talk about today ? I AM DELIGHTED TO ADDRESS THIS AUGUST HOUSE ON THE OPENING OF THE FIRST SESSION OF THE ELEVENTH NATIONAL ASSEMBLY UNDER THE PATRIOTIC FRONT GOVERNMENT. ALLOW ME TO CONGRATULATE YOU, MR. SPEAKER, ON YOUR DESERVED ELECTION TO THIS ESTEEMED POSITION IN THE HOUSE. LET ME ALSO CONGRATULATE THE DEPUTY SPEAKER AND THE DEPUTY CHAIRPERSON OF COMMITTEES OF THE WHOLE HOUSE ON THEIR ELECTION TO THESE IMPORTANT POSITIONS. How much does government spend on embassies? That question was triggered by the revelation that government plans to set up foreign missions in Spain, Portugal, Argentina and Saudi Arabia (Source: Daily Mail). On our Facebook page we noted that this proposal is a "bad idea", unless it comes with rationalisation of existing foreign missions. In short, our assessment is that the economic case for additional embassies does not exist given competing priorities and rampant corruption in these embassies. We were subsequently challenged to provide more information. We have pulled together this table to give a fuller picture of annual spending, based on information to hand. In short, London over the next lifetime of the present Parliament will cost Zambian taxpayers a minimum of K60bn. The two embassies in DRC will cost around K50bn. The three embassies in close proximity Paris, Brussels and Rome will cost nearly K120bn. The question we are asking is simple : how many schools can we build if we rationalised some of these embassies? We don't need new embassies, we need a new foreign policy that will take these issues into account. This position is not new - we have made this clear many times e.g. here and here. The Dubai-Lusaka-Harare service would be operated by an A330-200 aircraft in a three-class configuration that offers 12 luxurious First Class seats, 42 seats in Business Class and generous space for 183 passengers in Economy Class...Passengers flying Emirates from Lusaka and Harare would be able to connect seamlessly to points across the Far and Middle East, Indian sub-continent, Europe and Australasia via the airline's hub in Dubai. Starting February 1, 2012, EK 713 would depart Dubai every Monday, Tuesday, Wednesday, Friday and Sunday at 09:25 hours, arriving in Lusaka at 14:50 hours. The service would depart Lusaka at 16:20 hours, arriving in Harare at 17:20 hours. The return flight leaves Harare at 19:20 hours, arriving Lusaka at 20:20 hours; and departs Lusaka at 21:50 and lands in Dubai at 07:10 hours the next day. Kenya Airways announced that it will shortly commence flights from Lusaka to Jeddah, Saudi Arabia. The airline which will operate the route twice a week every Tuesday and Saturday on a Boeing 737-800 commences on October 18, this year....In Zambia, Kenya Airways operates the highest northbound flights from Zambia via Nairobi connecting to more than 3500 cities worldwide. Jeddah is the economic and tourist capital of Saudi Arabia with an estimated population of about 3.4 million people and is the second largest city after the capital city Riyadh. "In Kabwe there was one company given the Kabwe roads and some in Kapiri Mposhi...When you are going to get advance, you are supposed to give the security bond. What happened with these guys [Chinese firm] is that they got a fake security bond. They got the money and RDA realised that it was fake after the contractor had used the money...When somebody submits a security bond, you are supposed to verify with the bank that has issued it..There was about K5 billion for the Kabwe and Kapiri roads as advance payment....How is RDA going to recover that money? Why security bond is required is that in case of bad performance, you can go and encash the security bond..In this case, the contractor knew that he was going to default. We have lost K5 billion and RDA can't recover that money and it is not only this project where we have lost money. It is across." President Sata recently dissolved the RDA board after repeated cases of corruption e.g. here and here. GIven the nature of how corruption took place (through fake bonds), it appears this was a well orchestrated plan fed by strategic ineptitude on the part of the board. It does not take a genius to know that where large projects are being undertaken the risk must always reside with the constructor. The key to that is to ensure that your "bond" verifications are spot on. A special contribution on the North African geopolitics by Dr Mpundu Mukanga. I have specially asked Dr Mukanga to provide some reflections on various "African politics" and "business issues", in an effort to fill the gap in these critical area. We hope to share his reflections from time to time beginning with the essay below. Should Zambia have a mandatory national service? The Government is allegedly considering making national service training for youths mandatory. According to Defence Minister GBM, “National service can also be used as skills centres and hopefully this will turn round the situation of high levels of unemployment among the youth in the country". Some have called it “a well thought proposal” which would address the youths “who are languishing on the streets”. This initiative will of course come with costs and benefits. Interestingly, this proposal is not in the PF Manifesto. Its also not clear whether other models will be considered e.g. some form of privates sector involvement. Are you in favour of Zambia introducing a mandatory national service for youths? If not, what approaches do you think Government should consider? A sample of responses from "properly identified persons" will be published under our new column - Readers Weekly. A fascinating presentation from ToughStuff International on their affordable solar powered energy solutions for poor consumers in the developing world.ToughStuff won a 2011 Ashden Award in recognition of its success in making small, reliable, solar-powered products available and affordable for off-grid users in Africa (you can read more here). (HT: Yakima). I was particularly impressed by the "social entrepreneurship" dimension. It would be great to see this taken forward in rural areas in Zambia. Incidentally watching the above video reminded of the great need within Government for an "ideas champion" within the government (with a unit) that could pro-actively source these kinds "off the wall" ideas and see them tested. Large corporations have such "gurus", so do most governments in the developed world. Readers Weekly: A Higher Pensionable Age ? President Michael Sata this week directed Justice Minister Sebastian Zulu to amend the Pensions Act to allow civil servants retire at the age of 65 and not 55 years. This will require a parliamentary majority to become law. The age of pension provides the minimum retirement age and will apply to the private and public sector in line with existing legislation. The President believes the current limit is unnecessary punitive on those who have the strength to work longer. He also believes that higher age would make the pension system more sustainable in the long term. More people working may means less pay-outs, and more worthy pension arrangements (if reforms include this component). Personally I don’t approve of it, you know it’s not like we have a shortage of skilled labour. The many thousands graduating from several institutions where are they going to go? No where! Reasons being: (1) Government is the biggest employer and if it will hold on to these old folks who have done their worthy part by the time they are 55; and, (2) If Government keeps people until they are 65, when are these people going to learn about entrepreneurship and employ the energetic, skilled and employment hungry youths? I don’t think that’s the best way to build an economy. It’s not the best time to introduce such laws. This topic requires expert advice from demographers among others. From my little understanding, Zambia has more young people than adults. Blatantly it means that in the next 10 years Zambia will not have people retiring (not including those on contract and are over 55 years). In short people will start retiring 10 years from now. What do this mean? It means that a big number of young people have to sacrifice for at least 10 years! After 10 years we will get back to normal circle of people retiring every year. For some of us who are almost getting to 55 years and are not yet ready to retire it sounds a very good idea but for the young graduate with no job at all it may sound a death sentence! This policy unfortunately still needs a lot of debate, and finally consensus. Lets us not rush. We need to weigh both the positives and negatives. I agree with Brown Ngenda, in as much as advice from demographers is a must, the concept should be the dynamics of job creation not Job retention-in light of the high level of unemployment! Mindful of the short life expectancy in Zambia, Government should keep the current 55yrs retirement age. Those retired would have left vacancies for new graduates. And as for the retired oldies, Government should have a robust programme to transform these retires with their "vast experiences" into business entrepreneurs creating jobs for the skilled and semi-skilled youths with the help of govt grants and their own retirement packages as liquidity. The spiral effect of this Concept on the economy cannot be over emphasised both in the short and Long term if Zambia is aiming for a middle income by 2030. If this is done it must be phased in gradually not abruptly. The benefits would be fewer pensions to pay out and a more experienced work force. The costs would be fewer employment opportunities for the newly qualified youth and fewer new businesses starting up (retirees at 55years all go into business or farming if they get their benefits) An alternative might be to make the age optional within a range with a sliding pension scale; the longer you wait before retiring, the higher the pension. An immediate boost to the economy could be achieved by paying out all benefits due. It all gets invested in business. Some of the best emergent farmers I have met recently are retired teachers. 4. The reasons advances for this push are unconvincing. Perhaps the rationale should be posited better? ....the duo said that Botswana should adopt a 48-hr cooling period prior to elections, instead of closing campaign activities at 12 am, a few hours before elections. They said this would help people to vote with cool heads. They also said that the creation of multiple voting streams, which are arranged in alphabetical order can help ease queues at polling stations, as it is easier for voting officers to do their work. In Botswana, people just queue up and it takes at least four minutes before a voter's name can be located in the voters' roll, something that the MPs say should be reviewed. They said that the multiple voting streams are effective and voters do not spend hours in queues waiting to vote. You ran an inspirational, issues based and transformational campaign that has not only earned the presidential seal but has also won the admiration of the Zambian people. Your victory has rekindled the ancient hope of our people for sound and effective government. A government that governs in the interests of its people and not in the pockets of powerful foreign corporations or governments. A government that puts the nation’s most vulnerable before those who live in lavish gated communities; the oppressed before the oppressor; the weak before the strong; and, the poor before the rich. As you no doubt know, your journey, and that of our nation, has just begun, even as the campaign road has just ended. Over the next few months and years, together we shall face many challenges. The world once again finds itself staring into another global recession, perhaps much worse than the 2009 crisis. Although Zambia may be far geographically from the current turmoil engulfing the Euro Zone and the United States, in an ever globalised world we are not immune. We will begin to feel the effects through tightening remittances, slowdown in commodity prices and the inevitable reduction in overseas development aid. Not to mention the potential negative impacts on our emerging tourism industry. Impacts the world experienced in 2009-10, again threaten us all. To make matters worse, you have assumed the Presidency at a time of great uncertainty in our region. The Zimbabwean political situation remains volatile with political players in our sister nation seemingly stack in perpetual equilibrium of stagnation. Malawi is no better with a government there that has failed to rise above petty politics. To the north, DRC has not fully recovered from Africa’s world war and its historic failure to develop remains a huge constraint to our own advancement. Our economy which has grown consistently over the last seven years unfortunately continues to grow slower than many of our regional competitors such as Angola and Mozambique. To complicate the national equation, it now appears that our already high rural poverty and inequality is forever marching upwards. Our human and physical infrastructure is broken and more than 70% of our people live on less than $1 a day. Our people are both physical and psychologically broken. As you noted on the campaign trail, there’s an urgent need to “restore our dignity”. It is surely a gross injustice and testament to the MMD regime that a country so richly endowed should fail to nourish the young and secure the future of the elderly. Our children are being born literally in economic chains, with their future shackled by never-ending corruption and greedy reinforced over two decades of tyrannical rule under the previous regimes especially under the Banda administration. It’s within this context that I write you this short memo with few broad pieces of advice as you build on an excellent start that has already pressed the reset button in many areas. Listen to your instincts. The nation is most fortunate that for the first time we have a President who has a genuine heart for the poor and is comfortable with every strata of our society. The resonance of your campaign messages is self evident. We now look to you to apply your people centred philosophy to the greatest issues facing our nation. But in doing this you have already recognised that no man knows everything. Zambia is blessed with many individuals at home and abroad. You must now do what you can to put together a brilliant group of experts that will provide you the very best advice in the core areas - finance, mining, transport, education, information technology, engineering, manufacturing and health. We no longer need to go down the MMD way of relying solely on advice from the IMF and World Bank. As you said several times during your campaigns, real and effective solutions are home grown. We are masters of our destiny and God has given us that opportunity. Consult openly - The failed MMD regime ran government like a personal pig bank as well as a closed shop with no clear consultation with the public. It treated government policy as “personal to holder”. It was particularly notorious for not issuing Green and White Papers as is customary in well ran governments around the globe. These papers were replaced by poor "Cabinet Policy Papers" that ordinary Zambians never saw or commented on. Zambians were treated with impunity and taken for granted. Only in rare instances would one outside the ministry be lucky enough to hear the odd "Ministerial Statement" which often was poorly debated in the House. Consultation is the hallmark of effective government. Whether it’s restoring ZAMTEL in Zambian hands, away from the failed Gaddafi regime, or restoring the Windfall Tax on Mining or borrowing more externally. Ordinary Zambians long to have a say in these things. The use of modern technology to engage the public has not been fully utilised. Though effort has been made in the past to create Government websites, there’s still no integrated portal for accessing and commenting on important policy decisions. But consultation must never be an excuse for policy inaction, therefore balance must be found between open consultation and work of the government. We have already seen good fruits of this careful balancing in the way you have excellently dealt with the relics of the old regime. Be patient with the critics - Divergence of opinion in government and outside is critical for creative and innovative solutions. It is critical that every tier of our Government emulates your ‘down to earth approach’, in particular the mantra no man is an island. Rather than seeing people with divergent opinions as "enemies", men and women in Government should now see such individuals as critical partners in ensuring that its policies are perfected. This is a serious point because under the previous administration things became so bad that we start seeing running battles between Government andThe Post. It was sad seeing the previous president engaging in insults and being insulted. His actions did terrible damage to the presidency, which your victory has now gratefully restored. The lesson from Mr Banda’s failures is that antagonism between Government and the media creates an impression of a government that does not listen. More importantly it makes it difficult for those that feel that the holder of the highest office in the land must be respected to come out and say so. We hope that you will continue the spirit of open criticism and debate that has characterised your campaign and early presidency. Indeed, there’s room, where appropriate, for those in opposition to advice government. You have already taken an important step in this direction by bringing MMD members within the new ministerial team. What is now needed is for your new administration to transform how politics is done in our country by moving Zambians beyond entrenched partisan positions, towards more open and direct engagement with the leading opposition parties. This is good for your Government and it’s good for our people. Plan for the long term. The problem with our current rampant poverty levels is that it comes with political pressure for immediate solutions. In finding those solutions there’s always a lurking threat of turning back the clock and implementing dangerous policies that look like they are intended to save the day but imprison us in the long term. The last government failed to plan for the long term, so it started pursuing senseless policies which included, borrowing senselessly; attracting the wrong investors; eliminate crucial taxes to please a certain group; reducing certain taxes that do nothing for the average person; and, handover of our resources (and sovereignty) to outsiders. Sadly, it has now become clear that the Rupiah government will most likely be remembered as one of desperate people who did desperate things. The new Zambia you are building must now avoid this at all costs. Yes we should strive for a better today, but equally we should be prepared to take the pain of today to secure a better future for our children. This call for continuous updated long term planning that has the buy-in of all Zambians, as appropriately set out in your manifesto. Avoid profligate spending. We all understand the need for Government to act swiftly and respond to queries from specific groups. However, it is important to first recognise that the national budget is not different from household budgets. If money is spent on something, adjustments would need to be made elsewhere. 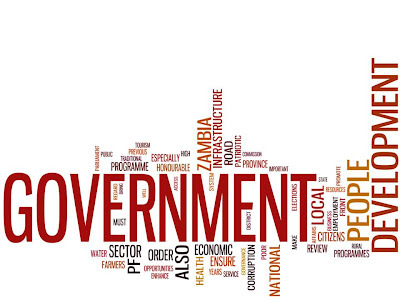 This calls for careful planning to underpin Government’s spending decisions, and most importantly explaining to the Zambian public how those trade-offs are being made. As you noted in the election campaign, “Zambia is broke”. Under the MMD regime we had become a nation of beggars that continuously feed off debt and foreign aid. Zambia has a limited pot of funds, and therefore we need to learn again to use it wisely and timely. It’s therefore important that early on in your presidency you are clear on what government can and cannot do, and where its priorities should be. This will allow debate and input from the general public on your general direction. Again, your instincts and understanding of our people and the advice of your experts will become handy here. Cut wasteful spending. As you know Government's fiscal space can only be increased in two ways - cutting waste and increasing the funding pot through larger revenue generation. Given your Government rightly stated b that larger revenue generation will come through widening the tax base through low taxation, there will be need to secure long term sources of revenue. We are tired of borrowing, especially in the absence of an effective debt management strategy. That means that not only should we keep a closer rein on spending, but we must actively seek ways to cut wasteful spending. Inefficiencies must be identified systematically. A vital part of this process is “crowd sourcing" of areas where government can cut waste. The public should direct this process by offering ideas as part of a broader “savings challenge” to help create fiscal space. Zambian Economist is in the process of identifying this waste and will soon submit paper on some areas which have already been enthusiastically identified by our readership. We hope such an approach can be applied to specific ministries to help identify savings. Prioritise the security of our national wealth. We recognise that you have assumed the Presidency after decades of relentless plunder by the previous administrations especially alleged extravagancies and plunder by the Banda administration. You have already done exceptionally well, respecting the rule of law and putting forward a bold case for Zambia to be comfortable with its past while expanding the freedoms of tomorrow. As you build on a solid start, it would be important to pay attention to securing our national wealth. The most pressing economic question facing our country is how we as a people should harness the vast mineral wealth that is beneath our feet. In solving this problem it is important to always remember that the current situation of mining companies treating our taxation system with impunity must come to an end. Zambians expect these companies to pay their fair share and to do so without fail. The culture of secret deals and negotiations must come to an end. Government should set an optimal tax and all people and companies must simply follow. It’s not right that a certain constituency is able to sit down and negotiate their way to certain privileges, while ordinary Zambians quietly obey the laws and pay their taxes accordingly. More importantly we won’t develop as a nation as long as we fail to secure our mineral wealth. Let us avoid the mistakes of the past. As a Christian nation we are fully aware that it is God who appoints all authority. Honour and power belongs to him alone. The Almighty has placed a burden on your shoulders that he knows full well you can carry. But even as we drive off to a new future, we see in the rear view, twenty years of MMD rule with president after president amassing power for themselves, too insecure in their God given mandate to relinquish control. Every Zambian has the highest hope that your vast experience and heart for the poor means after a 20 year interruption, we now have again a president who longs to serve rather than waits to be served. A critical way to move forward is to fulfil the well placed hope of every Zambian of having a constitution that will stand the test of time by end 2012. The old National Constitutional Conference championed by the failed regime of Mr Banda was a costly and unfortunate exercise. We cannot afford to waste money on another expensive initiative. Mr President, the early days of your presidency has already demonstrated your strong commitment to equity, justice and prosperity. As you forge ahead we trust that the principles outlined above will be the emblem of your Government. Should Zambia increase its public sector pensionable age? President Michael Sata this week directed Justice Minister Sebastian Zulu to amend the Pensions Act to allow civil servants retire at the age of 65 and not 55 years. This will require a parliamentary majority to become law. The President believes the current limit is unnecessary punitive on those who have the strength to work longer. Plus he is clearly trying to make the pension system more sustainable. More people working means less pay-outs. But it could also means those who retire get more worthy pension arrangements (if reforms include this component). Are you in favour of increasing the public sector pension age? A sample of responses from "properly identified persons" will be published under our new column - Readers Weekly (every Friday). Responses on Facebook can be found here. 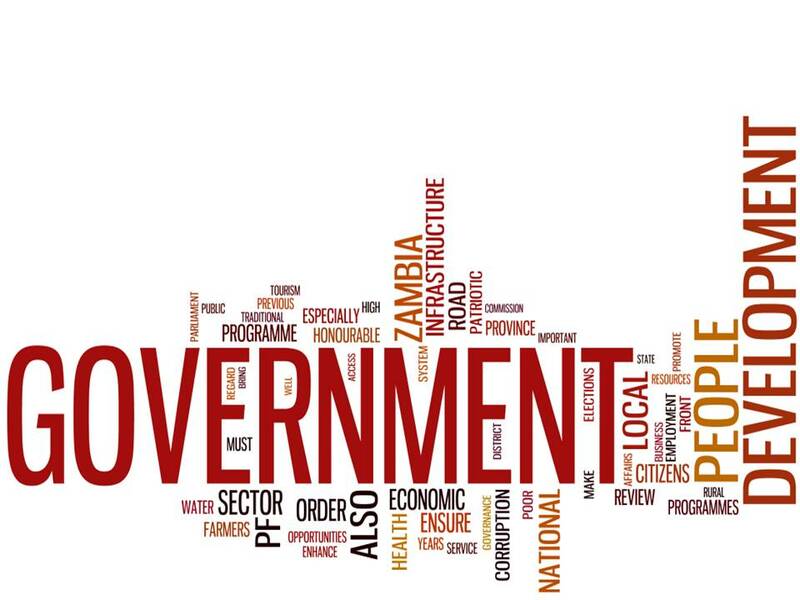 The Road Development Agency (RDA) has become the sixth organisation to have its board terminated by the President for wide corruption in the awarding of contracts. The President has also blocked a payment of K4 billion to fake company managing scanners at Nakonde border post, which belonged "to someone who occupied his office". We have tracked down this helpful summary, which have embedded below. It sets out in more detail the Guinea mining reforms first discussed here. Important mining developments in the west African state of Guinea. The relatively new government of Alpha Conde has passed a new mining code that among other things stipulates that foreign companies would need to invest a minimum of $1 billion and gives the government a free 15% share in mining companies with the option of buying a further 20%, thereby more than doubling the share the state can take in mining projects. Conde's government has raised other taxes. This is fresh and bold thinking - what is more striking is that the mining companies have broadly accepted it! Guinea’s new mining code, passed on September 9, promises to maximise the public revenues generated by foreign deposits and impose stricter regulations upon mining companies operating in the country. How can the new government cut waste? The new PF Government is committed to cutting wasteful expenditure. So that money can be channel to poverty reduction. Zambian Economist wants to get your ideas on how you think Government can cut waste. We will put together a short policy paper and submit it to the new administration as soon as possible. Please provide your ideas below. Please be as specific as possible - not general ideas like "cut corruption". We want specific ideas like "abolish District Commissioners" with an explanation of how such ideas will eliminate waste (where possible how much can be saved). Sure, if you are rich and can afford to pick and choose from the vast array of expensive private health care providers and insurers, or if you are old and can avail oneself of the limited socialised Medicare system, then you can safely say that USA Healthcare is "the best in the world". Otherwise it is an unmitigated disaster that condemns tens of millions of citizens in the richest country on Earth to suffering and death from preventable or treatable causes. In spite of the vastly lower per patient administrative costs associated with government run Medicare insurance when compared to the private sector insurance system, and the overwhelmingly positive reviews it gets from the senior citizens served by it, political conservatives are utterly opposed to extending the plan to citizens under 65 because of a lack of cost controls. Meanwhile the liberals are complaining that women pay private health insurance premiums that are 115-120% the price paid by men, accurately pointing out that this is also roughly the share consumed for reproductive health (which is justifiably the economic responsibility of both genders equally), while at the same time seeming to ignore the statistics that show that adult American females of reproductive age consume health care services at a rate around 250% the cost of their adult male counterparts. Hints of an African Spring? We continue our post-election analysis with this piece by Pascal Zachary (with a heavy dose of Chanda Chisala) which herald's Sata's win as signalling an emergence of "populism and technocratic management to a part of the world that rarely sees either but badly needs both". Global political pundits are waiting in vain for an "African spring," in which the forces of mass, grassroots democracy course through sub-Saharan Africa, a region arguably in as much need of genuine political reform and civic participation as the Arab world. Ever since the North African countries of Tunisia and Egypt exploded in protest, observers of sub-Saharan politics have observed with envy the seemingly revolutionary activities taking place in the north of the continent. It went almost unnoticed on a day of brinkmanship and geopolitical pyrotechnics. At the United Nations, Palestinian President Mahmoud Abbas rolled out his demand for full statehood. Israel responded predictably, backed by the United States and others. Diplomats scuttled hurriedly to and fro, seeking compromises and middle ground – anything to do a deal that would keep the matter from coming to a vote in the Security Council or General Assembly. The Zambian Economist is a private website produced and maintained in my own time, and reflects solely my personal opinions. Statements published on the Zambian Economist do not represent the views or policies of employers, friends, family, past or present, or anyone I may or may not be associated with. Any view, opinion or information submitted in the comments section is the sole responsibility of the respective contributor or visitor to the site. These do not in any way represent the views of Zambian Economist nor can I be held responsible for them.